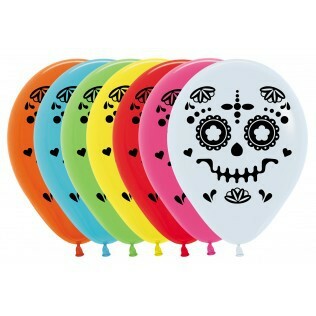 Our Day of the Dead Catrina Balloons are a colourful option for a Day of the Dead or Mexican inspired celebration. These professional quality balloons are manufactured from pure natural latex and are fully biodegradable. Fill with either helium or air. Pack size: 12 balloons in a mix of colours.